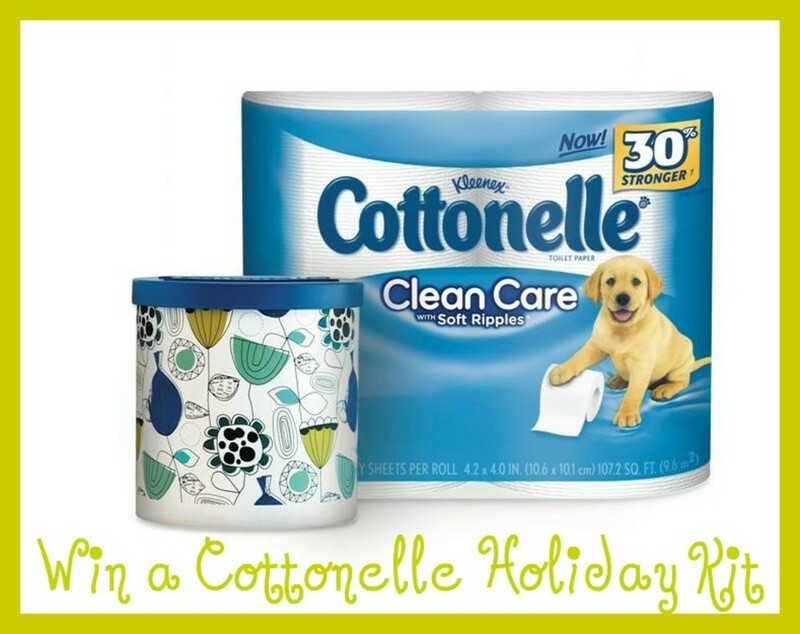 Win a Cottonelle holiday kit! Think of your bathroom and how every item has a place &apos;?? a holder for your toothbrush, a dish for your soap, containers for your cotton swabs &apos;?¦ the list goes on. People take great care in making sure bathroom essentials are put away in a place of their own, except when it comes to toilet paper. This year we helped Cottonelle launch a series of limited edition, swank toilet paper holders. The launch was such a hit, Cottonelle is "rolling" out a special holiday giveaway with us. But before we talk about the swag, let&apos;s talk about the holidays. Maxwell Gillingham-Ryan from Apartment Therapy, provided some great tips for keeping your house in tip-top condition for hosting holiday parties. Shower curtains and towels were made to carry colors and you can change your bathroom in minutes by coordinating and changing the colors here. His favorite lately? Deep brown towels and hand towels with a linen shower curtain. Perfect. · Cover it Up. 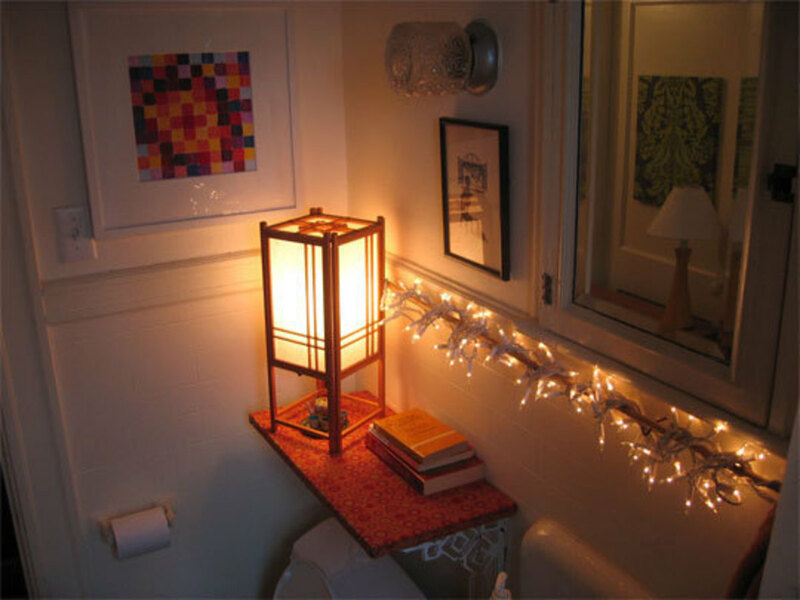 Bathrooms easily fill up, so make sure there&apos;? ?s a space for everything from your cotton swabs to your toothbrushes, even your spare toilet paper. If you want to cover your open shelving, do so by pinning a nice fabric to the front of the shelf. · Flowers always impress. Fresh flowers in the bathroom OR even just ONE flower in a small vase on the bathroom sink or back of the toilet will make the room fresh and festive. And here&apos;s our tip: don&apos;t forget about the details. Why do we love these designs? They are inspired by the latest trends. The roll covers were inspired by the Mid-Century Modern movement as a historical milestone and a living ideal which is reflected in the prints and patterns in today&apos;? ?s best furniture, architecture and design. In our world of constantly being connected to computers and machines, there is a trend towards the need for human connection and design that feels like it was touched and created by hand. The roll covers make people stop and take notice, and in turn make them think about caring for their toilet paper like never before. 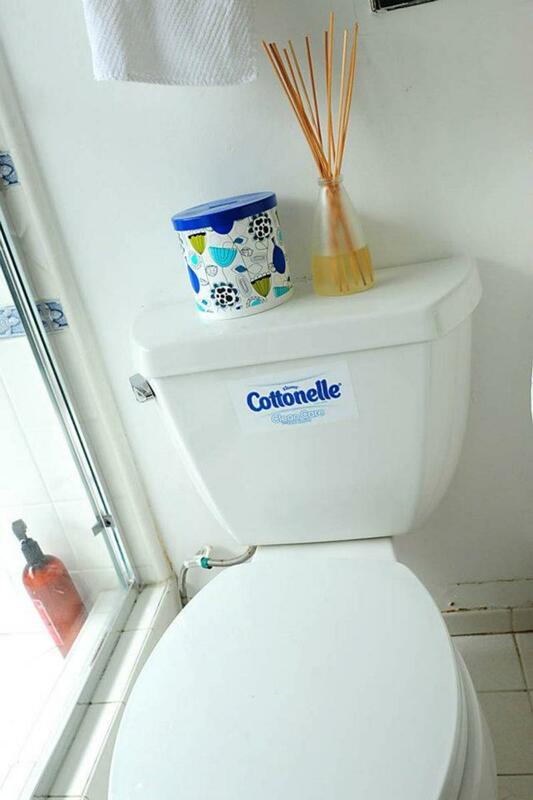 Due to overwhelming interest in Cottonelle&apos;? ?s debut collection of designer roll covers, the brand has made all three roll covers available for purchase on RespectTheRoll.com for $4.00 each &apos;?? shipping and handling included. There is no limit on the number of roll covers purchased but the offer is valid only in the U.S. while supplies last. But why not try to win one! Win it! Cottonelle wants our to make sure our "Domestic Diva" readers have their t-p covered &apos;?? literally. The kits are valued at $30 and include Cottonelle Clean Care toilet paper, a Cottonelle designer roll cover, Kleenex Hand Towels, candles and a holiday entertaining guide. To enter simply tell me why you want to "Respect the Roll" in a comment below. 2. Follow @momtrends and @Cottonelle on Twitter. Full Disclosure: Winner must be 18 years or older and a US Resident. No purchase necessary. Winners will be notified via email with the specifics on how to claim their prize. Contest ends 12/31/11 at Midnight EST. Winners will be picked by random.org.This is a sponsored post.